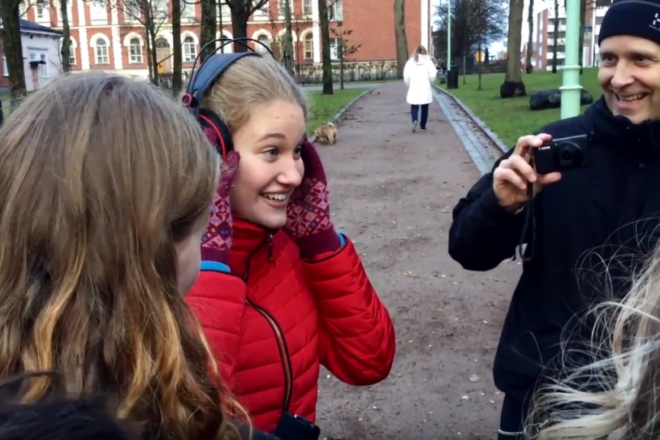 A physics group from the Kauriala upper secondary school from Hämeenlinna attended the Sound in the City workshop. The instructor of the workshop was the musician Petri Keinonen. 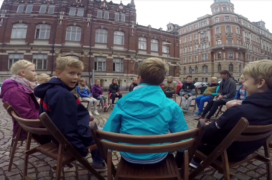 In the Sound in the City workshop, upper secondary school students examined the natural soundscapes of different urban spaces as well as the effect of self-produced sounds. The participants recorded sounds in two spots at each of the four selected locations in order to compare the behaviour of sounds and the impact of echoes and reflections. Finally they listened to the recorded soundscapes, examined the photographs and videos shot during the process and discussed the thoughts provoked by the workshop. 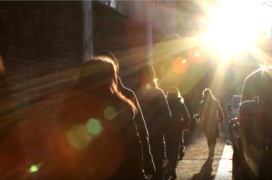 Exploring built environments as soundscapes, instead of visual observations, offered a new perspective on everyday phenomena in familiar urban spaces. In particular, the students gained insights into the impact of structures and materials on the acoustics and atmosphere of an urban environment.